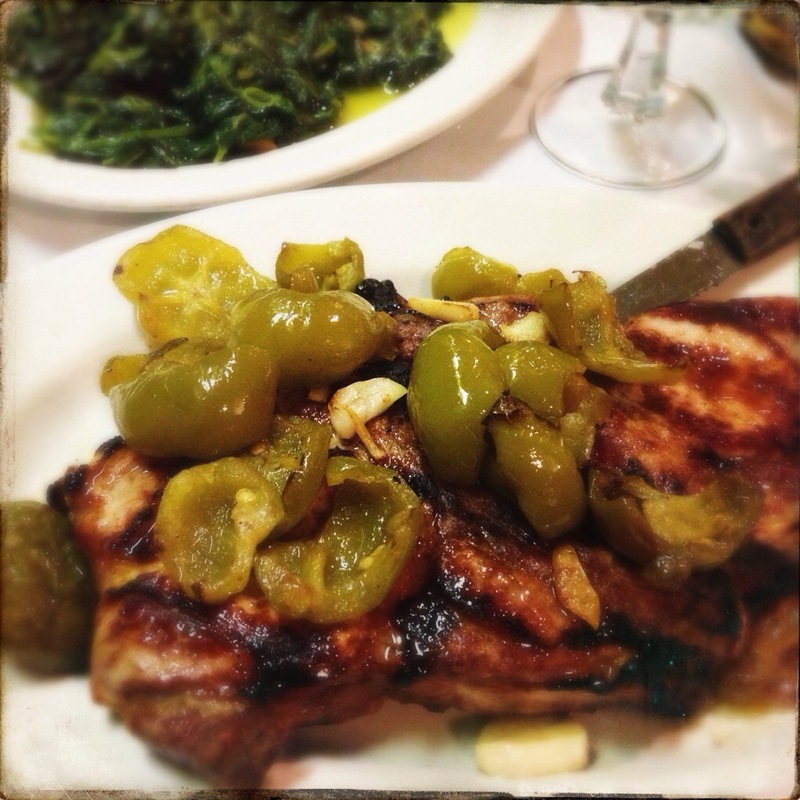 Fiorentino’s | Oh No! Not Another NYC Food Blog! 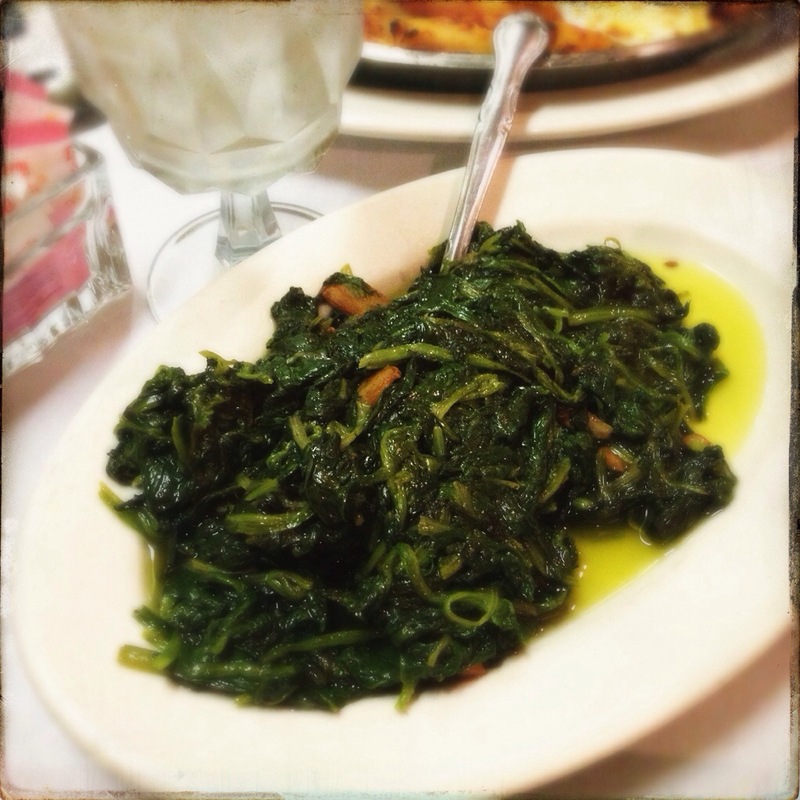 Old school Italian in Gravesend – filled with the local aged population at 5:30.
sautéed spinach with roasted garlic in olive oil, which was also very good. Oily, but good. 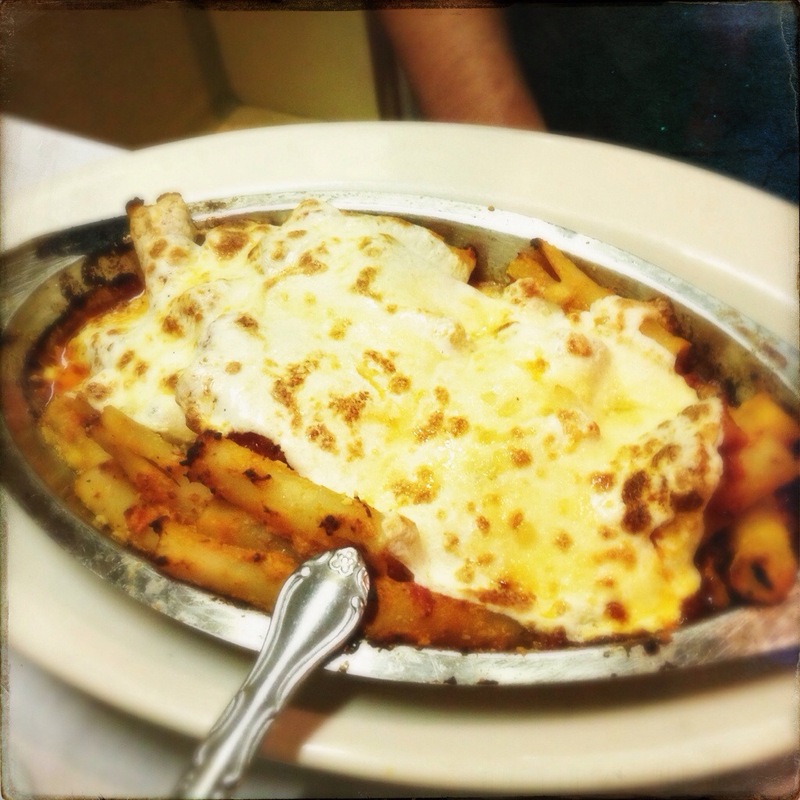 My DH had the baked ziti, which was also not bad. Exactly what you would expect, down to the dish it went under the broiler in. The bread basket was very bountiful. Liveried waiters and white tablecloths speak of bygone eras. Old school but not bad. The menu is varied, the quality seemed to be decent, and they actually seasoned the meat – despite being a hangout for the aged. 3.5 out of 5 for decent food if you happen to be in the area and in need of a sit-down dining experience.